Delegates from across Ohio and West Virginia flooded into Columbus recently for the annual Ohio State Council of Machinists fall meeting. Delegates greeted an all-star lineup of labor-friendly candidates, including Senator Sherrod Brown. Delegates heard from candidates seeking office across Ohio, and the council took action to endorse. 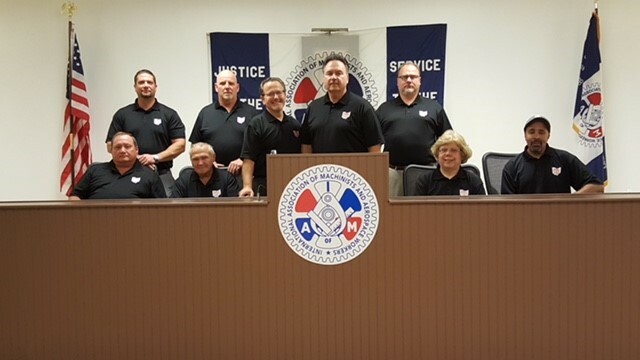 Eastern Territory General Vice President Jimmy Conigliaro Sr., updated the delegates on activities within the territory, and the importance of growing the IAM for the future. One of the featured events was Local 1297’s Guide Dogs of America (GDA) Texas Hold’em Poker Benefit Tournament. District 54 staff, delegates, and the 32 affiliated locals raised nearly $21,000 for GDA, MNPL, and the IAM Disaster Relief Fund that has been providing support for members affected by hurricanes in Texas, Florida, Puerto Rico and the U.S. Virgin Islands.